Kankalay Primary School in Sierra Leone has too many reminders of Ebola. The Water Project completed a water and sanitation project here in 2011, and the photo you see above is of the toilets installed for the school. When Ebola was at it’s worse, this whole area became a treatment center. If you look closely you’ll see where medical equipment and linens infected with Ebola were burned against the building. Students are still using these facilities, and the accompanying water well is providing safe water – thanks to your support! 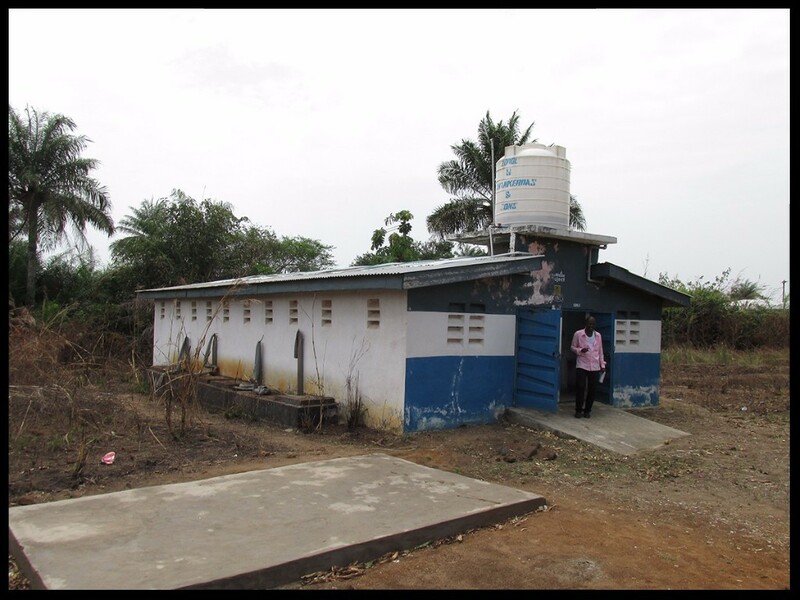 In the coming months, your monthly gift will rehabilitate these bathrooms and 12 facilities at other schools with new fixtures, new roofing and new paint. Your support will mean ongoing hygiene and sanitation training at this school, and many others and all because you make it possible! Your ongoing support means keeping kids safe and helping communities rebuild their lives post-Ebola! This out of focus photo is one of the most impactful images we could show you. 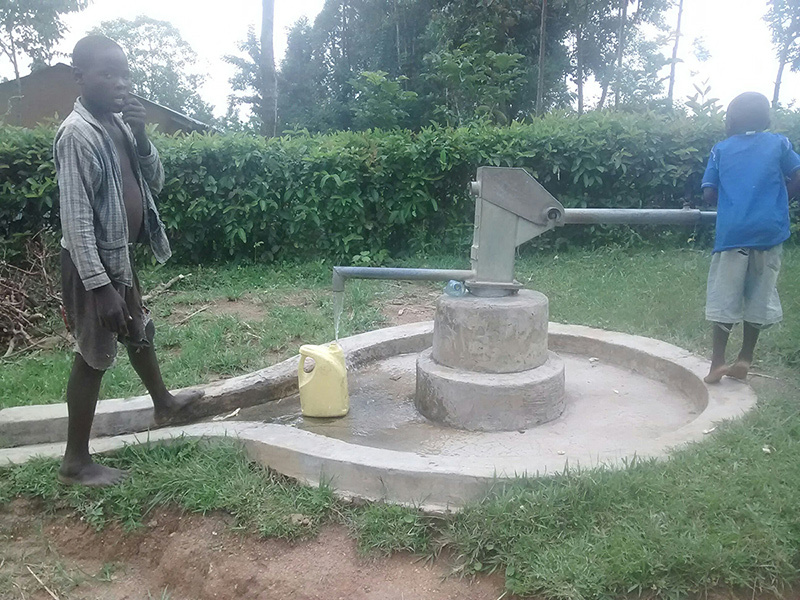 The well pictured above was installed 6 years ago, in 2011, by our teams in Kenya. See the boy in the blue shirt? Because of our monthly donors, this boy has grown up with clean water his entire life. Pretty amazing, right?! We think so! Thanks to monthly gifts, our teams can revisit past projects and work with communities to keep wells working – for good! This is one of those wells and these kids are just some of the children benefiting from the generosity of our members. Think about it – a generation of kids who have never known a water crisis – because of YOU! Learn more about how you can become a monthly donor.